Often clients tell me that they never use their whirpool tub in their Master Suite, but tell me that they feel they must have this for resale. Great feedback and good point about resale. I do think that as a society we are simply changing to drifting toward the idea of having only what we need, rather than what we think others want or expect. For example many of my aging clients think a luxury shower is more desirable because the tub is too difficult to climb over and is a hazard. We have built some showers that would ultimately allow space for a walker with very ample areas to sit and a low threshold for accessibility. Also, Patricia Dunlop, a spokeswoman for the American Society of Interior Designers, said many people are opting to replace their oversize tubs and Jacuzzis for extra vanity, shower and storage space. And while most interior designers and real estate agents agree it's still important to have at least one tub in the house for bathing children, animals and other needs, oversize tubs are now seen as a frivolous use of space. We have also seen an increase in the requests for freestanding soaker tubs which are slightly smaller and take up less space. 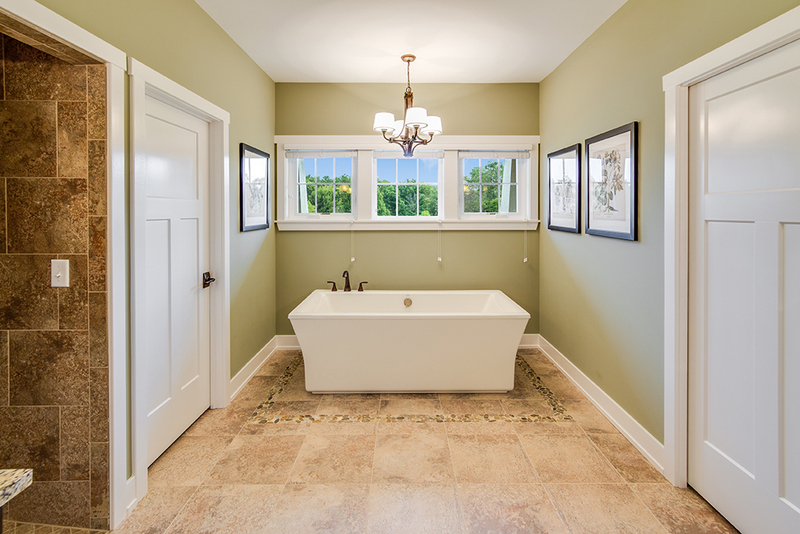 So if you want to eliminate the oversize tub, you are right on target, as long as there is another bathtub somewhere in the home which doesn't need to be one of the large monsters of the past that drain the water heater once filled. There is also a study that found the average whirlpool tub is used only seven times during its lifetime, a very good reason for the shift in home design priorities. So, the whirlpool tub may go the way of the "Parlor" or "Living Room". We shall see!